Parenting consciously means requires us to grow, learn, and try on new ideas. One of the best ways to be exposed to ideas is through books. Below are books written by others as well as books I’ve authored. This inspirational and practical manual is filled with one hundred concepts grouped into ten themed, easy to read chapters. Each chapter includes self-study exercises. Retail price $11.95+shipping. ISBN: 978-1-4116-6455-5. You may also buy the book directly from Amazon.com for just $9.95 with free shipping (Amazon Prime). 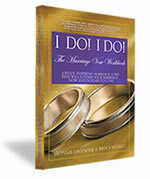 This workbook, which I coauthored with my husband, Bruce Mulkey, is an inspirational resource for creating compelling vows for your marriage, civil union, commitment or recommitment. This workbook will help you craft vows that will serve you not only during the ceremony itself but throughout your lives together. This immediate download is just $4.99. Buy now! "Shonnie helped me have a more flexible and dynamic way of loving my children and myself when parenting is challenging." "Shonnie's workshop helped me set greater things into motion and define my path more." 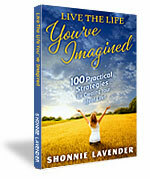 "Shonnie really helped me clarify the area of my life that needs direction and provided a road map to get me there." "During Shonnie's seminar I had an ‘eureka moment’ that helped me know what I did not WANT or NEED to do any longer." "Shonnie is fun and makes you look at things in new ways."